A two-day National Conference on ‘Emerging Trends in Chemical Sciences (ETCS-2019)’ is being organized by the Department of Chemistry and Chemical Sciences, Central University of Jammu from 14-15 March, 2019. The conference has a special emphasis on the state-of-the art research in the emerging area of chemistry like catalysis, supramolecular chemistry, organic synthesis, green chemistry,organometallics, materials science and computational chemistry.The eventhas been inaugurated by Prof. Ashok Aima, Honorable Vice-Chancellor of Central University of Jammu, Prof. Manoj K. Dhar, Honorable Vice-Chancellor of University of Jammu, Prof. Devanand, Dean of School of Basic and Applied Sciences, Central University of Jammu, Prof. S. Chandrasekaran, Honorary Professor from Indian Institute of Science, Bangalore and Dr. V. Sridharan, Head, Department of Chemistry and Chemical Sciences, Central University of Jammu. The conference has brought over 200 participants across the country to interact and share their research on different areas of chemistry. The inaugural function was started with a welcome address by Ms. Peehu Sharma, an undergraduate student from Department of Chemistry, CUJ, followed by lightening of auspicious lamp by the Honorable guests along with Saraswati Vandana by the students. 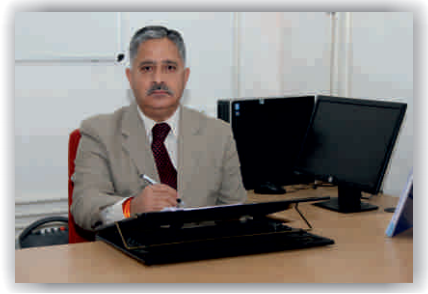 Prof Ashok Aima has emphasized the need of high-quality research in his inauguration speech. He highlighted that this event will enable the young minds to have interactions and inspirations from eminent scientists. On wishing the success of the conference, Prof. Manoj K. Dhartalked about the importance of chemistry in day-to-day life and emphasized the need of lifting the boundaries in different fields of science. Whiling extending best wishes to the Department of Chemistry and the conference, Prof. S. Chandrasekharan urged to the students to be passionate of the research than merely publishing the research articles in high-impact factor journals. Prof. Devanand said that such conference is aimed to motivate quality researches in the emerging areas of chemistry. Dr. V Sridharan extended his gratitude to the distinguished scientists and participants who traveled from various parts of the country to attend this event. The inaugural function was ended with the vote of thanks by Dr. Tapta Kanchan Roy. The first day of the conference consisted of three sessions including four Plenary lectures, three invited lectures and a poster session. Thirty researchers presented their research work in the poster sessions. The first day ended successfully at 18:00 PM.